5. 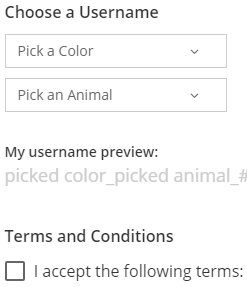 Select a color and an animal from the drop down menu. Review the terms & conditions before clicking to accept. 7. Click continue for confirmation of your username. Congratulations! The child's account has been created! *If a parent would like to allow a child to create reviews, ratings and notes, visit stpl.bibliocommons.com while the child is logged in and click yes. 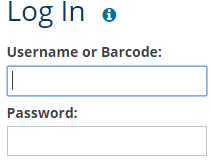 Parents can grant permission by entering their account login information.